To meet the diversified requirements of our prestigious clients, we are involved in offering a qualitative array of Profile Sheets. Our complete product range is manufactured in accordance with the international standard using high grade raw material. These products are widely used for various industrial and domestic purposes. We can supply GP coils and sheets from 0.25mm to 1.6mm thickness. 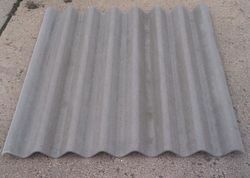 We have gained a huge appreciation in the market by offering an excellent array of Color Coated Roofing Sheet. We are engaged in offering excellent quality Color Coated Profile Sheets to our valuable clients. 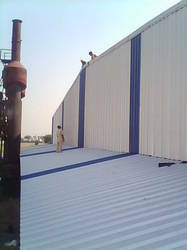 These profile sheets are suitable to be used in various commercial as well as industrial buildings. Our products are made using finest quality material and advance technology. These are procurable at leading market prices. Backed by profound experience of our experts, we are an unparalleled name engaged in trading high quality assortment of Colored Profile Sheet. Swastik Roofing provides a wide variety of colour range for it's products. Coated steel sheet products have many attributes that make them suitable for diverse use in construction industry. These pre-painted steel sheets and coated wall panels provides a combination of strength formability, jointability, paintability and economy. We are instrumental in offering our clients comprehensive range of Color Profile Sheets. Our products are widely acclaimed among the clients for its durability and low maintenance. Offered product range is easy to install and are compact on designs. With the assistance of skilled and dedicated professionals, we are able to maintain top-notch position in the industry.